Fireproofing is a great way to prevent wood and other materials from burning. However, the cost to buy a suitable product is not cheap. The best option is to use a fire retardant product. This type of product is only meant to delay the burning of a material for a certain amount of time. Many chemicals may be used as fire retardants, but your best option to save money and to make a homemade product. Hazardous chemicals are often used to make a lot of fire retardants. However, products at most grocery stores or on the Internet can be used to make your own product at home. All you need to do is search to find where you can buy the ingredients that are necessary for this project. 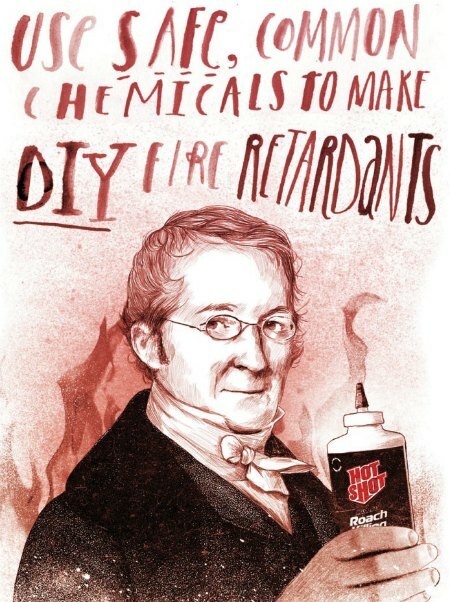 The ingredients used to make homemade fire retardants are safe for humans. A few basic materials are needed to mix the ingredients needed for making fire retardants. You will use a plastic bucket and a large spoon. A five-gallon or smaller bucket are perfect for this project. If a container you have is too small, then you can find a suitable bucket at any hardware store. This is important as the fire resistant products you can mix are not made in small quantities. The amount of ingredients you mix together is important as you want the product to work correctly. A big bucket is necessary to mix all the ingredients as you will be adding a lot of water. Make sure that all of the ingredients are completely blended as this is necessary for fire retardants to work as expected. Once you have your homemade product all mixed, then you are ready to run a test. Any type of cloth is suitable to see if you mixed the ingredients correctly. Fire retardants provide a great option to prevent a fire from starting unexpectedly.